Over the past decade or so, waves of computer-aided identity theft have washed over the U.S. Since the first big hack attack on ChoicePoint in 2005, through more recent data breaches at Evernote, LivingSocial, and now the massive Target (TGT) breach involving 110 million pieces of data (just the third-largest data breach in U.S. history, by the way), companies have more or less figured out a routine for dealing with data breaches. You notify the FBI. You (eventually) notify your customers. And you replace everybody's credit cards. With the latest breach at Target, that process is already well under way. Megabanks like JP Morgan Chase (JPM), Bank of America (BAC), Wells Fargo (WFC), and Citigroup (C) have collectively handed out millions of new cards, with new card numbers, to customers whose data may have been compromised by the Target data breach. Last week, the Independent Community Bankers of America issued a release confirming its members -- small banks around the country -- have "reissued more than 4 million credit and debit cards." To ensure that credit and debit card numbers that hacker stole from Target and Neiman Marcus will soon be useless, ICBA member bankers absorbed costs in excess of $40 million. And as a result of their quick action, says the group, "community banks' initial fraud costs were relatively low, with less than 1 percent of community bank customers reporting fraud." So, while the Target breach and the "110 million pieces of data lost" sounds bad, the damage probably won't be as bad as you think. In fact, you can use this epic data fail to your advantage. When your bank sends you a new credit or debit card, it will come with a new number to replace the one that Target lost. Your old number has been canceled. This means any automatic payment plans you've set up -- your subscriptions and the card numbers that you have preselected for payments on Amazon (AMZN), PayPal or (ahem) Target.com -- are going to stop working. Is this inconvenient? A hassle? No doubt. But on the plus side, being forced to manually retype your card number and reauthorize payments, may force you to rethink -- do you really want to authorize this payment or that commitment? 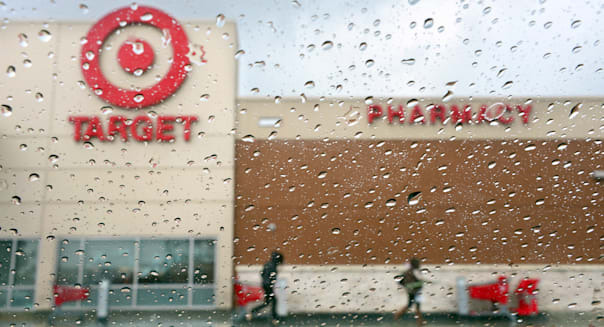 Thanks to Target and its data breach, here's your chance. Before you can log on to any sites to enter your new credit card number, the site is going to ask you for your user name and password, right? As long as you're switching up the credit card, now's a good time to change that password, too. Experts say that around the world, 50 percent to 60 percent of computer users use the same password for most, if not all, the websites they use on a regular basis. A 2011 report in PCmag.com noted that for the most common websites -- like email and Facebook -- "repeat" password usage rises as high as 75 percent. Considering how hard it is to remember multiple passwords, and the constant caution to "Never write your passwords down," it's probably asking too much for consumers to remember dozens of passwords for dozens of websites. But at the very least, changing your "universal" password every once in a while is probably prudent -- and again, there's no time like the present. Any time one of these big businesses gets hacked, it has become an industry best practice to offer any customer who's been affected a free year's subscription to a credit monitoring service. Target is actually going an extra mile on this front. On its website, the company is offering free credit monitoring not just to the 1 percent of customers known to have been affected by the data breach, but to anyone who has shopped in a U.S. Target store. Go to creditmonitoring.target.com before April 23 to sign up for "one year of free credit monitoring that includes identity theft insurance ... a complimentary copy of your credit report ... daily credit monitoring, identity theft insurance where available and ... access to personalized assistance from a highly trained fraud resolution agent." Granted, the credit monitoring expires in a year. But the way things are going, you'll have another data breach by someone else -- and another year's free credit monitoring -- before that happens.